When law enforcement arrives on the scene of a situation, there’s no mistaking who is in control. The cops string the yellow tape and take over and no one is allowed to enter the restricted area. But faster than the yellow tape goes up, the virtual scene has been created with the conversation that starts in social media. These days, it’s most certainly on Twitter. Law enforcement can’t control the virtual scene. But there is absolutely no good reason why law enforcement shouldn’t be participating in it. Get into the conversation early and you can wield more influence than you might think, on Twitter, it’s all in the hashtag. 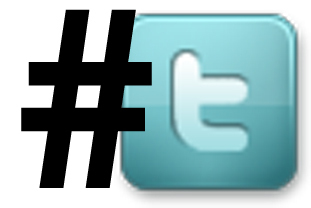 A hashtag on Twitter is simply a word, or an acronym that is preceded with the hash mark, aka pound sign (#). In Twitter, beginning a word with that symbol makes it clickable. You click on it and you get all the tweets sent with that hashtag IN them. What’s the relevance? If you just tweet as the PD, especially in a contentious situation, who do you think really sees those tweets? MAYBE some of your followers. But the people who you really want to see the tweets won’t, because THEY aren’t following you, they’re following the hashtag(s) for the event. You’re ABC PD and you have a situation – let’s say a protest, or a shooting in a school, or any event. Sometimes you know ahead of time that the event will happen, sometimes you don’t. It doesn’t matter. Often, people are already tweeting about the topic or event with a hashtag. If so, use it. If not, don’t hesitate, create it yourself. A hashtag can be created immediately, right on the spot. If the media or the public hasn’t created a hashtag that is relevant to your event, create it yourself. Keep it as short as possible as it uses up some of your 140 characters in every tweet. Then, check to see that it’s not being used to signify something else (with a quick Twitter search), then just USE IT in your tweets. Others (media) will follow and also use the hashtag. Imagine that you know a protest is coming. There are thousands of people in your streets. As in any mob situation, a few are really angry and/or motivated and the rest are just following along. On Twitter, all it takes is one or a few of them to begin to suggest acts of violence or spread rumors that might agitate. Until Twitter, you had no way of communicating directly to them, in the moment. The officers at the scene, even if they could get through to them (with billy sticks, shields, masks and other ominous gear) don’t really know the details themselves. But back at incident command, YOU do. So tweet. But USE THE HASHTAG. By using the hashtag relevant to an event, you are injecting yourself into that situation/event. You are forcing people who could care less about what you have to say to see what you have to say. The protesters who are following the hashtag will start seeing your tweets. Their first reaction might be surprise to see your messages. After that, what might happen is that the followers in the middle of the pack who could be swayed either way might otherwise go with the crowd because they were believing false rumors. If they see your tweets of reality and public safety, they might think twice about their own actions and make a better decision. Back in April, 2010 in Dudley, England, (West Midlands Police) Chief Inspector Mark Payne wrote about how he positively influenced the outcome of a protest between the English Defense League (hashtag #edl) and United Against Fascism (#uaf). Vandalism was reported by the protestors and one side and he refuted it on Twitter and potential threat to the safety of another person was also refuted. Payne believes his tweets positively effected the outcome of the situation. With the current flood situation in the Northwest area of Australia, Victoria Police are tweeting messages about bridge outages and openings and other safety messages with the hashtag #vicfloods. Without the hashtags, the people looking for information might not think to look up the police on Twitter. 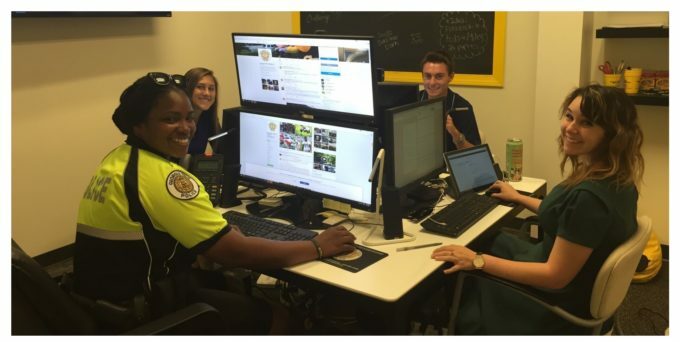 They will quickly find the hashtag and will likely trust the information they receive from the police as a result. In the second half of this series is a post from Constable Scott Mills of Toronto Police describing how he positively effected a situation where a gun was shot inside a high school in his city. By quickly creating a hashtag and tweeting to the media where a Toronto media officer was located he kept the media at bay, and by tweeting that no one was hurt he calmed the nerves of 4,000 parents. It might have been a very chaotic situation. The media also picked up on the hashtag and used it and also followed him and reported the content of his tweets on the noon news. When a situation happens fast, don’t forget Twitter, as crazy as it may seem. But, especially when you know you have an upcoming contentious event and you plan a strategy, include it in the strategy, the chances that you might influence the outcome in a positive way are real. Thank you for spending some time to describe the terminlogy towards the rookies!